Adjusting Entries – Why do we need adjusting journal entries? Adjusting entries are required at the end of each fiscal period to align the revenues and expenses to the “right” period due to the matching principleMatching PrincipleThe matching principle is an accounting concept where companies report expenses at the same time as the revenues they are related to. Revenues and expenses are matched on the income statement for a period of time (i.e. a year, quarter or month). Example of the matching principle Imagine that a company pays in accounting. In general, there are two types of adjusting journal entries: accruals and deferrals. Adjusting entries generally occur before financial statementsThree Financial StatementsThe three financial statements are the income statement, the balance sheet, and the statement of cash flows. These three core statements are intricately linked to each other and this guide will explain how they all fit together. By following the steps below you'll be able to connect the three statements on your own. are released. Imagine there is a company called XYZ Company that took out a loan from a bank on December 1, 2017. The first interest payment is to be made on June 30, 2018, and the company is preparing its financial statements for the year ending December 31, 2017. Even though the interest payment is to be made on June 30 in the following year, to properly report the company’s financial status, the company must accrue the interest expenseInterest ExpenseInterest expense arises out of a company that finances through debt or capital leases. Interest is found in the income statement, but can also be calculated through the debt schedule. The schedule should outline all the major pieces of debt a company has on its balance sheet, and calculate interest by multiplying the for the month of December and include that value even though the expense was not actually paid (i.e., an exchange in cash). This is an accounting system called the accrual basis of accounting. 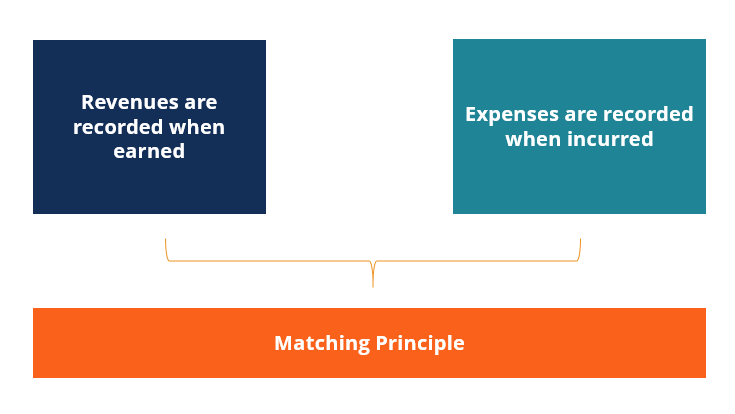 The accrual basis of accounting states that expenses are matched with related revenues and are reported when the expense is incurred, not when cash changes hand. Therefore, adjusting entries are required because of the matching principle in accounting. These adjusting entries are depicted in the following tables with specific examples and journal entries. When cash is received prior to earning revenue by delivering goods or services, the company records a journal entry to recognize unearned revenue. When revenues are earned but not yet recorded at the end of the accounting period because cash changes hands after the service is performed or goods are delivered. A customer acquired goods and agreed to pay the following month. A company earned interest revenue from the bank on its checking account and had not yet recorded it. XYZ Company delivered services in September for an $800 payment that was made three months ago. XYZ Company delivered services on the last day of the month and sent an invoice for $4,400. To learn more, start our accounting courses now! Amount paid for in advance of using assets that benefit more than one period. The process of recognizing expenses before cash is paid. One month of XYZ Company’s insurance expired in June. The original payment of $800 covers June through September. XYZ Company’s employees earned $550 during June and are paid in July. Journal EntriesJournal Entries GuideJournal Entries are the building blocks of accounting, from reporting to auditing journal entries (which consist of Debits and Credits). Without proper journal entries, companies’ financial statements would be inaccurate and a complete mess. T AccountsT Accounts GuideT Accounts are used in accounting to track debits and credits and prepare financial statements. This guide to T Accounts will give you examples of how they work and how to use them.